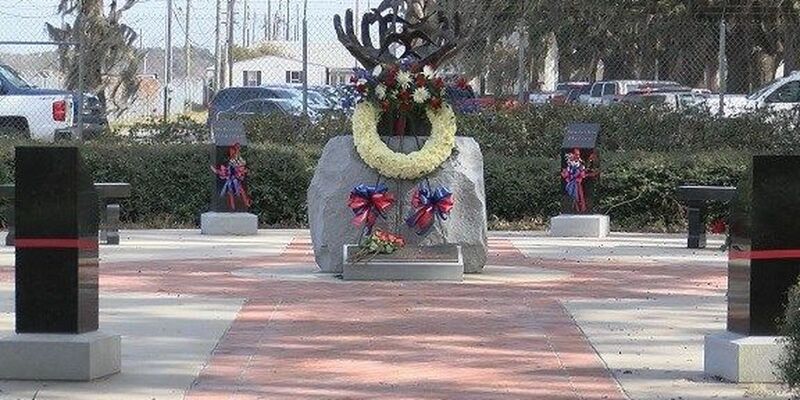 PORT WENTWORTH, GA (WTOC) - Thursday, Feb. 7 marks 11 years since the explosion at the Imperial Sugar Refinery in Port Wentworth. Each year, the community pauses to remember the 14 lives lost and the more than 40 people injured in the incident on Feb. 7, 2008. The explosion was caused by a dangerous build-up of sugar dust at the refinery. Ariel view of the damage. The site of the memorial, known as Legacy Park, was dedicated to the victims and their families. The memorial sits to the side of the main gate on Imperial Sugar’s property so family and friends of those lost can visit whenever they want. Circling the statue are the names of all 14 victims who were killed by the explosion.